The Pakistan Maritime Security Agency (PMSA) yesterday arrested 47 Indian fishermen. 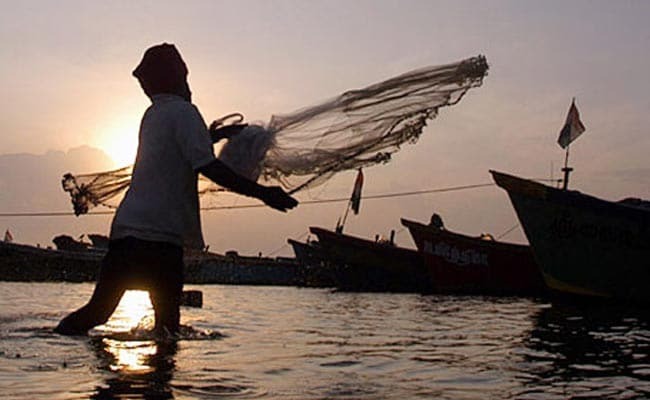 Karachi: Forty-seven Indian fishermen have been arrested by Pakistani authorities for allegedly fishing in the country's territorial waters in the Arabian Sea, according to a maritime official. The Pakistan Maritime Security Agency (PMSA) yesterday arrested 47 Indian fishermen and seized nine launches for illegally fishing in Pakistani waters, a PMSA spokesperson was quoted as saying by the Express Tribune. The arrested fishermen were handed over to the Docks police for further proceedings and investigation, it said. The Indian boats have been confiscated for violating Pakistan's coastal territory, the spokesperson said, adding that said PMSA vessels and fast attack boats took part in an open sea operation for the purpose. On January 19, as many as 17 Indian fishermen had been arrested by the PSMA for allegedly fishing in Pakistan's territorial waters. Three boats had also been impounded. Pakistan had released 292 Indian fishermen as a goodwill gesture in December-January. A number of non-governmental organisations in both India and Pakistan have raised the issue, pressing their governments to release the arrested fishermen without delay.